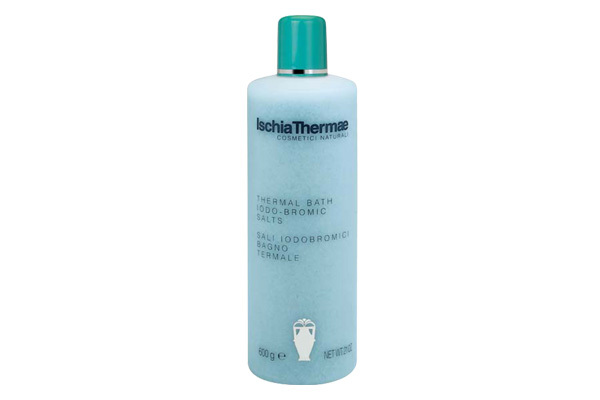 Extracted throught a crystallisation process, these salts are especially effective for carryng out in the comfort of the home the unique Ischia Hydro Thermal Treatment. Extremely rich in mineral salts and trace elements, they carry out an intense smooting and emollient action on the epidermis. They are recommended for preparing the skin prior to the Ischia thermae cellulite treatment programme. They make bathing a pleasurable experience of relaxtion and well being, leaving the sjin pleasantly soft adn silky. 2/3 times a week, dissolve 3 spoons of the salts into hot water 37/38°. Relax in the bath for at least 15 minutes.